I’ve been a member of the Sweet Pepper Fire Brigade since it started back in the early 1970s. That was back when Eric Gamlin was chief. He was a popular man in town, and one of my best friends when I got back from Vietnam. When he said we could put something together to take care of the community, we believed him, and we helped him. Things were good for a while – until the county took notice and decided we needed some ‘help’. Eric was against them being involved. He said they wouldn’t do a good job. He was right, as usual. It didn’t take long before the county quietly ignored us. By that time, Eric had been killed in a suspicious fire. I saw him from time to time after he died, until they shut the firehouse down. Then I guess he was alone up there in his cabin, until Sweet Pepper got smart and hired Stella Griffin to come down here from Chicago and give us a hand. She fit in right away, and got us set up like Chief Gamlin did. Even better, I could see my friend again. He saved my life when the firehouse burned down last year. Now he’s missing. We’re not sure who took him, but we’re determined to find him and bring him back. I’m not waiting thirty years to see my old friend again. I know it sounds funny, considering he’s a ghost and all, but in Sweet Pepper, we like our ghosts as much as we like our hot peppers, and the Great Smoky Mountains! They’re part of who we are. I hope you’ll come visit us in Sweet Pepper, home of the sweetest, hottest peppers in the world – and two of the best fire chiefs ever – living or dead! 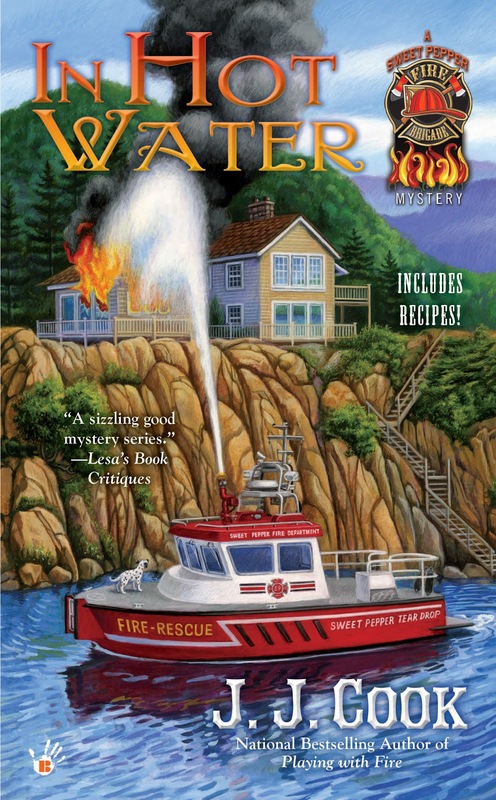 YOU MIGHT WIN A COPY OF THE SWEET PEPPER FIRE BRIGADE’S NEW ADVENTURE – IN HOT WATER – BY LEAVING A COMMENT HERE! Would love to visit Sweet Pepper! Both fire chiefs sound interesting! Thanks! This sounds like a series I need to read. I just love this series! 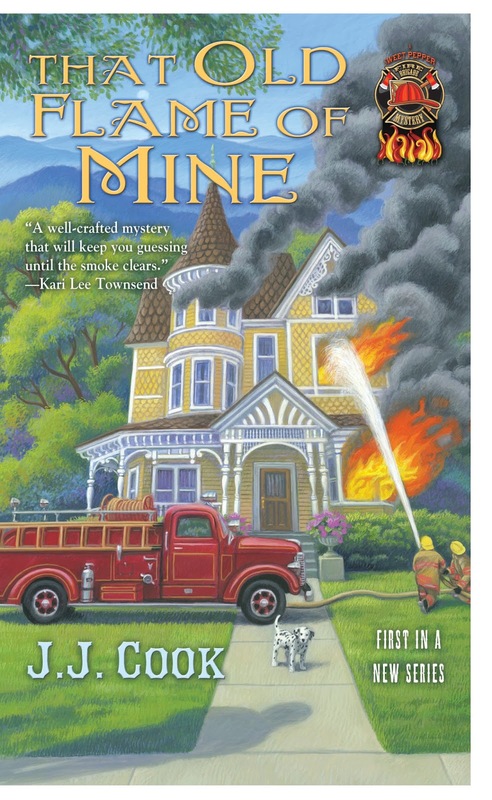 Would love to win the newest book - I have been waiting for ages to see whether or not Stella's cabin is bulldozed! I love this series. Makes me wish I had a ghost of my own. Can't wait to read it. Eric has to be one of my favorite ghosts. Thanks for the contest. Love this series! Looking forward to reading this installment. I haven't read any of this series yet but have it on my wishlist. I need to read faster!! I've enjoyed the earlier books in this series. You shouldn't lose a good friend twice! This is a great series! Thank you for writing it! Looks like a good series, everything I read sounds great. The Fire Brigade has been around a long time. I have good friends who are ghosts! Sounds like a great book! Love the series! I love Cozies and this sounds good!!! I have had this series on my wishlist for a while now. Being from TN, it just calls to me. Maybe I can win a copy. I love this series..can't wait to read this one. Adding to my reading list thank you. Can't wait to read this new addition to the series! I was so mad with the cliffhanger..... Would LOVE to win a copy! Joyce and Jim Lavene are two great writers and their mysteries always keep the reader interested. Thanks for sharing this review. The story sounds as great and the cover is beautiful. Excited about this cozy. Would love to read these cozy's. I can't wait to visit with the Sweet Pepper Fire Brigade again! Sounds like a book I would love to read. Thanks for the chance. 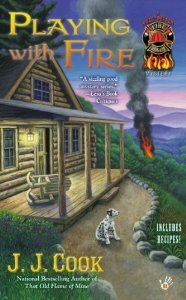 This is a new mystery series for me, and the book sounds great. Thank you for the giveaway. OMG! I love, love this series. I can't wait to read this one and would love to win a copy. Thanks for the chance. I love how the name Sweet Pepper and hot fire chiefs go together. Yay! Been looking forward to this since I finished the last one.....can't wait!!! These look like so much fun. Congrats on your latest release from Sweet Pepper! New to the series ... sounds great! It look like another book I'd love to read! Thank you for the chance to win it. This may be a duplicate. I love this series. This is a new series to me. They sound great. More for my TBR pile. Thanks for the opportunity to win. Thank you for a chance to win a copy of In Hot Water. What a beautifully vibrant cover! I can't say that I am a fan of peppers, but this sounds like a fantastic series. Thanks for the giveaway and good luck on the release! would so love to read this book!! This is such a great series - can't wait to read this one! 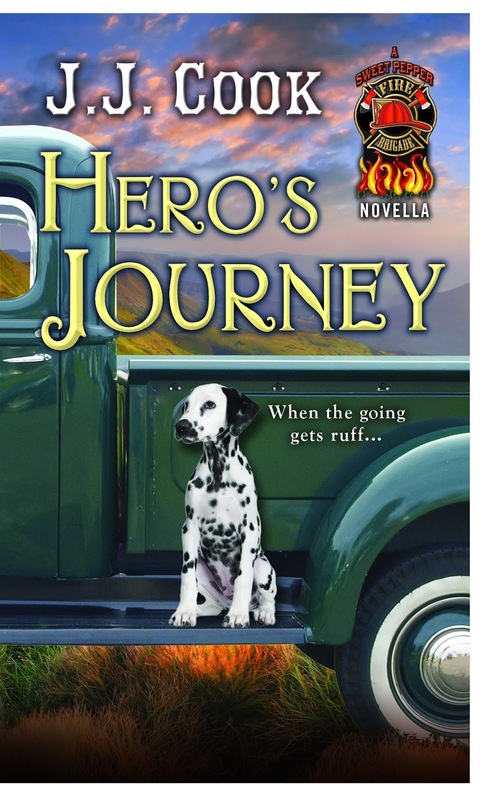 I would love to start reading this series! It sounds good! Thank you!